As the local saying goes, “We came for the skiing and stayed because of the summers!” Spring has sprung here in Telluride and we look forward to 5 months of 70 degree weather, hiking, fishing, golfing, rafting and biking, not to mention another outstanding line up of summer festivals. 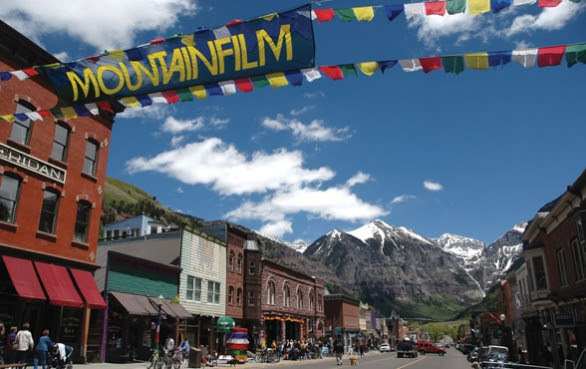 The first festival event (one of our favorites), currently in its 36th year, the Mountainfilm Festival is a four-day, six-senses experience of art, adventure, culture and the environment. It attracts filmmakers, photographers, conservationists, mountaineers and explorers from around the world. Presentations and panels are scheduled throughout the Memorial Day Weekend event with a wide diversity of special guests, ranging from artists to adventurers and academics to activists What is Mountainfilm? Well, check it out – http://vimeo.com/2701422. We are very pleased with the recent launch of our newly designed website (www.TDSMITH.com)! The site is the newest technology in responsive design for smartphones, tablets and desktop users. You will note the focus of the site is extraordinary imagery of the Telluride lifestyle, exquisite real estate and our spectacular setting. We continue to update the blog, festival events, market conditions, videos and fly fishing conditions, so make sure you check in often. If you have an interest in learning more about “best buys” in any market category, send us an email and we will send along our top picks. Also, if you haven’t made your summer travel plans to Telluride, give us a call for our recommendations. Hope to see y’all in Telluride this summer!